Ford Falcon to become a Transformer! Post subject: Ford Falcon to become a Transformer! 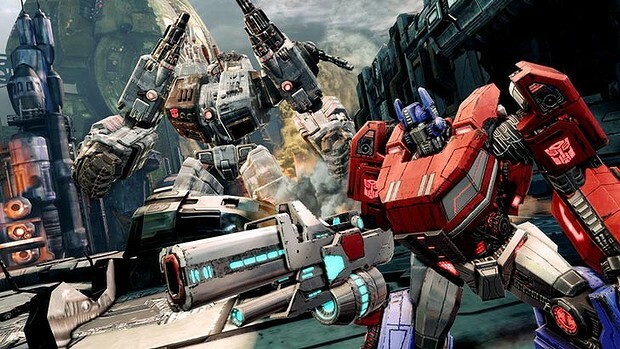 Ford’s struggling Falcon will be turned into a one-off Transformer artwork after the Blue Oval brand joined forces with video game publisher Activision to launch the latest in a line of spin-offs from the film franchise, a new game titled Transformers: Fall of Cybertron. The “bespoke piece of concept art” – expected to be a detailed painting or graphic of the car both as a vehicle and in its transformed state – will be revealed at the launch of the game on August 22. The character, however, won’t be a part of the video game. The decision as to which Ford car will be transformed will be left to the public, with the company’s Facebook site hosting a poll to decide. At the time of writing, the Falcon XR6 Turbo was the top ranked car with 195 votes, ahead of the XR6 Turbo Ute (55), G6E Turbo sedan (17) and the Falcon cab-chassis Ute (three). There’s also a poll to decide whether the Transformer will be an Autobot (considered the good guys) or Decepticon (bad guys). The results currently stand at 185 votes for the former and 91 for the latter. Facebookers will also choose the colour and the name of the Ford character. Fords have been Transformers in the past, but the recent films have strong ties with different automakers. The characters have included: Bumblebee, a gold coloured Chevrolet Camaro; Skids and Mudflap, a pair of Chevrolet Spark city cars (identical to Holden’s Barina Spark); Ratchet, a Hummer SUV; and Dino, a Ferrari 458 Italia. Post subject: Re: Ford Falcon to become a Transformer! Jesus that is one of the saddest most desperate advertising things I've ever heard...got Sunrise on in the background, and they were just talking about how they struggled to sell 700 falcons (I think) in the last month....I mean, seriously Ford, you think this crap is going to make anyone buy a Ford?? Still, this gives me a reason to put a Transformers badge on my car, to make it fully sik. I wouldn't joke about an extra 50kW, mate.